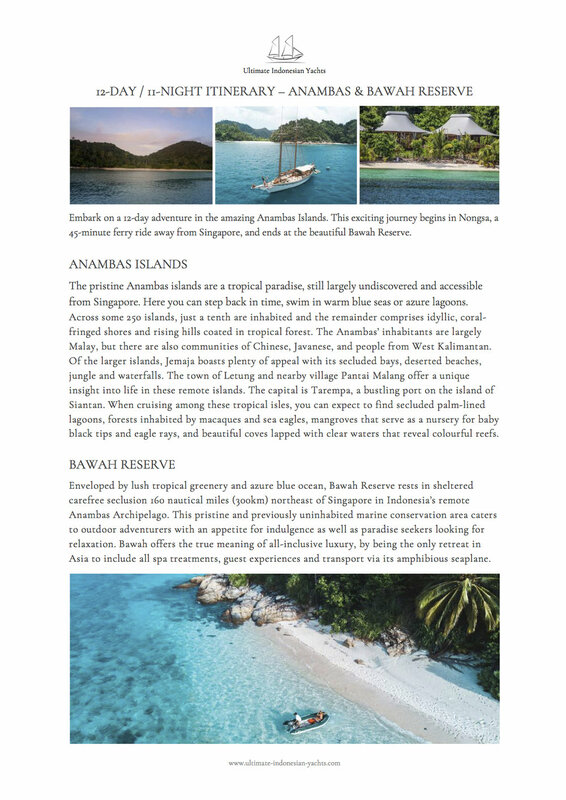 Ultimate Indonesian Yachts curates each bespoke charter itinerary on an individual basis. 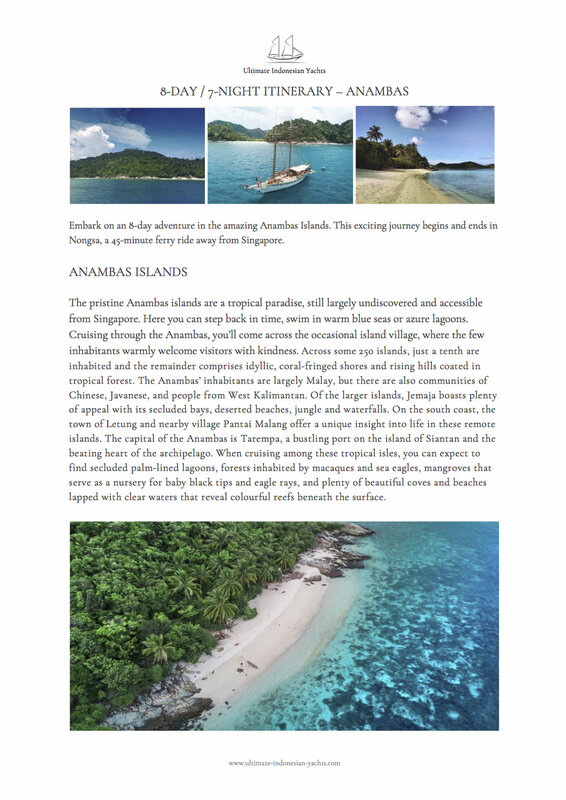 Here, you’ll find a selection of sample itineraries representing some of our tailored routes in Indonesia. For those seeking to combine a stay on land with a sojourn at sea, we work with a variety of trusted hotel and villa partners. Whether it’s Bali, Lombok or Java that floats your boat, our land & sea itineraries pair luxury sailing expeditions with relaxation time at some of our favourites hotels on Indonesia’s fascinating islands. Please note that these itineraries serve only as a brief example of what we can arrange, and are subject to change depending on weather conditions, harbour clearance, changes to domestic flights and other deciding factors.